There are many benefits to becoming an adult and leaving behind the life and trappings of a child, but it isn't all rainbows and kittens. Adults have to work, they get stressed out, and they're often kind of uncomfortable thanks to the "adult" things they have to do. The bean bag isn't just for children. Children's bean bags are, of course, pretty awesome, and it doesn't hurt to take a look at what passes for a child's easy chair these days. Children get their bean bags in all kinds of shapes and sizes, and made in several different types of materials. 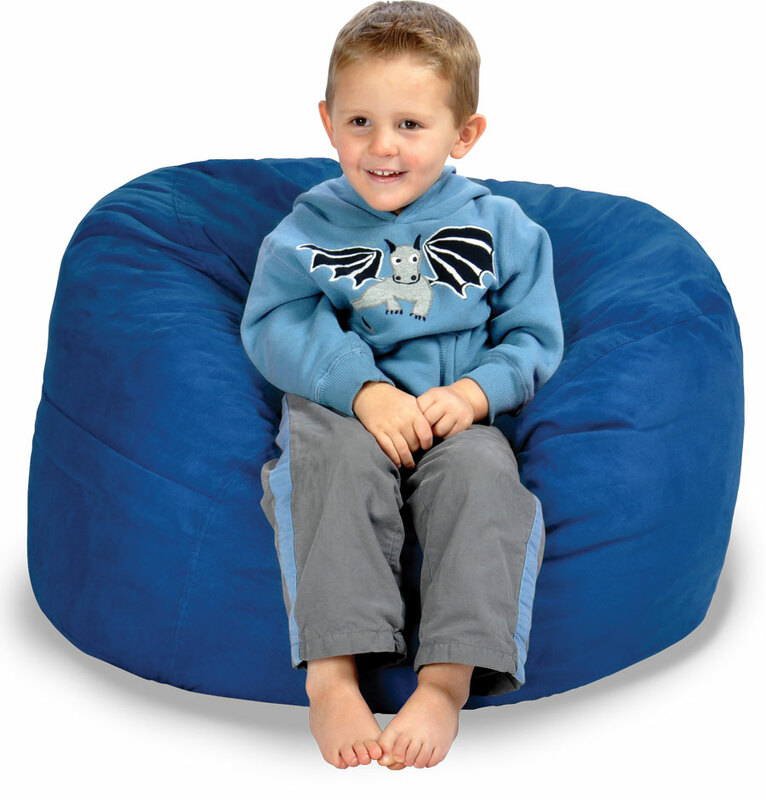 Bean bags can come shaped like animals or objects of interest to the child, of course. Some toddlers are really into the popular game Pokemon, for example, and want their bean bag to resemble Snorlax or Pikachu, or some other Pokemon. Maybe your toddler is more of a Disney fan, though, and they want Minnie Mouse for girls or Mickey for boys represented on their bean bag. Boys might want Spiderman on their bean bag, while girls might want Hello Kitty. Large bean bag chairs aren't just for kids, of course. Teens and young adults have a use for been bag chairs in their college dorm room, for example. Besides having a soft, small spot to cuddle their girlfriend or boyfriend, a college student could also use a convenient, washable piece of quality furniture that is also eminently comfortable. Of course, price is always on the mind of the frugally minded college student. Yes, they want their own furniture, but they also want something affordable so that they can afford to, you know, keep going to college. That's why it pays to go make comparisons and checkout reviews online, rather than running out to a store like Target or IKEA (or even buying the first one you see on Amazon) and blowing a ton of money on bean bags that aren't worth it. Although a college student is on the lookout for a cheap, free, or even DIY bean bag they can sit in after a hard day at pottery class, other people have need of a bean bag chair too. A mother who is nursing a baby or babies may like to have a bean bag for herself to just chill out on, whether or not baby is hungry. She doesn't necessarily want the best nursing chair in the world; maybe she just wants a cozy little space for her to curl up in, a quaint little bean bag that fits like a glove. This is the kind of stuff most companies don't think to print, but just the kind of information you want before making a purchase. 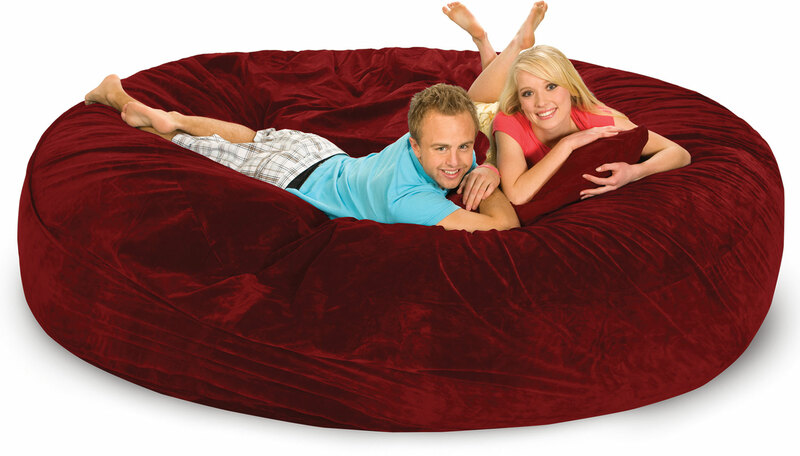 Our oversized bean bags are the best on the market, and we want to tell you how large, how huge, your bean bag will be. Whether you want a bean bag on sale due to overstock or an original piece of art, there are plenty of bean bag chairs out there. Aficionados turn to Fombag, whose bean bag chairs are made to a surpassing level of quality. You can toss it into your barn, your den, or your living room -- no matter where you keep it, you'll be hearing lots of "I call the bean bag chair" once people become aware of it. Compare our 8 ft Fombag to the BigOne from Lovesac and you will see how we stack up.